The NOS Bottle Nut Adapters are sold individually and allow you to connect your nitrous bottle to an AN braided line for easy plumbing. 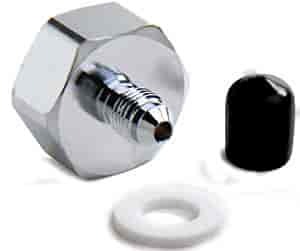 The PTFE® washer is reusable and replaceable to insure a leak free connection. 16230 is rated 5.0 out of 5 by 1.